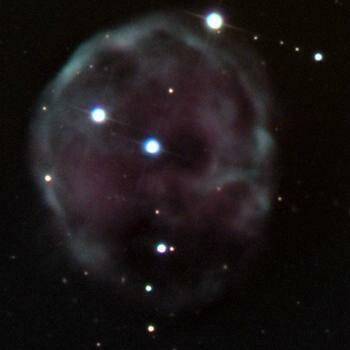 A quite old planetary nebula with its central star, the white dwarf HIP 3678. Both contain very much fluorine, 250 times more than usual. This element was produced in the star by fusion and now drifts away into space. In billion of years it could serve alien civilizations for the production of tooth paste.